To claim this deal, download the My Vodafone app. 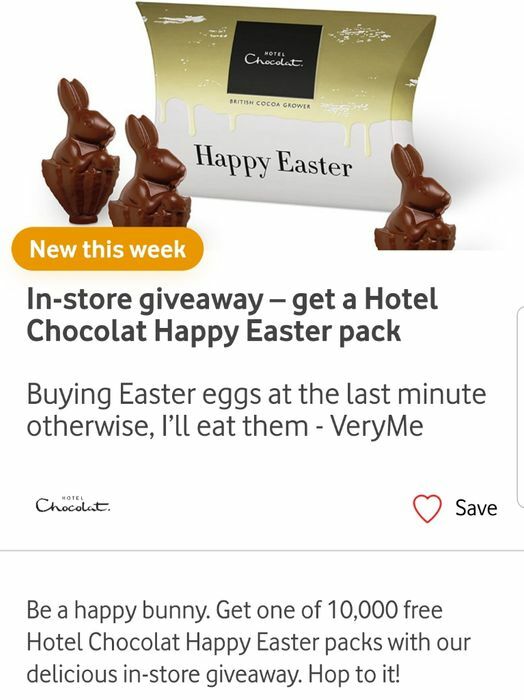 Once logged in, go to VeryMe Rewards and click the offer. Click the Get Code and you have one hour to use it to get the freebie. thank you for sharing this. Hopefully I will have time to go and get it soon. Gutted I don't have one that local to me always miss out on their choices! I went to my nearest store today and just as I got there Vodafone said no codes left! My daughter is on O2 and got free Easter egg from Thorntons.